Fabric headband with intricate colorful stitch design and beautiful bead work. 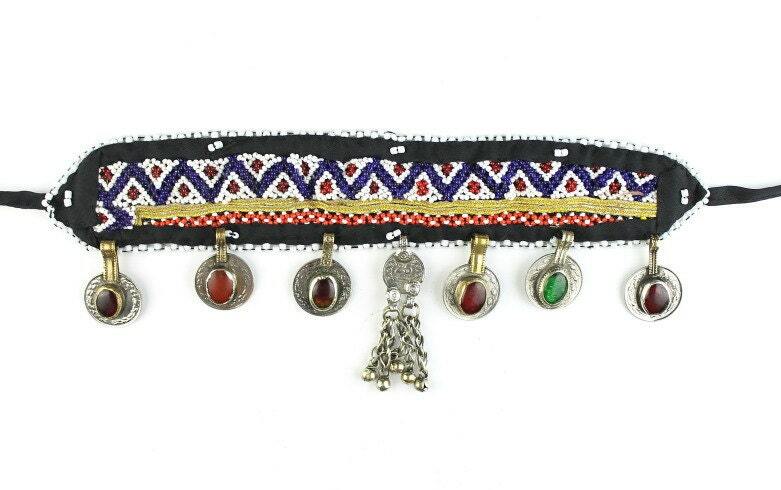 Hanging from the piece is a set of six middle eastern coins with set colorful stones. The centerpiece coin hangs with jingling bells. Material is fabric and beads. Please note stones color may vary.